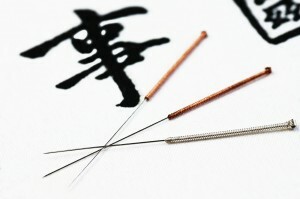 Traditional Chinese Medicine (acupuncture and herbs) has helped couples achieve pregnancy for thousands of years. Early Chinese medical literature, dating back 3,000 years indicates fertility treatment can regulate menstrual cycles in women and balance hormones while increasing and strengthening sperm in men. 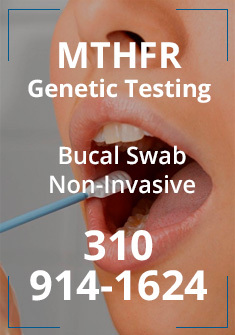 Male infertility is present in about 30% of all infertility cases. For pregnancy to occur, all organ systems must be working well together. For the ovaries and uterus to be in balance, the liver, spleen, kidneys and other organs must also be in balance. At Westside Acupuncture we incorporate Traditional Chinese Medicine, functional medicine, genetics and nutrition. In the toxic world we live in, we have to look beyond what is conventional to overcome all obstacles. Studies reported by the American Pregnancy Association suggest that the most effective fertility treatments involve a combination of acupuncture, herbal medicine and traditional medicine interventions. Researchers also found that acupuncture may improve the quality of life in patients undergoing in vitro fertilization (IVF). It was also found that women receiving acupuncture reported significantly less abdominal pain, other pain, nausea, and stress two hours after oocyte aspiration (egg collection) compared to women receiving conventional analgesia. We believe helping women and couples get pregnant is only half of the job. What all parents want is a healthy baby. Ricardo Miranda brings his expertise in genetics and methylation to help parents achieve just that*. Reference for the above table: Hook EB. JAMA (The Journal of the American Medical Association) 249:2034-2038, 1983. The occurrence rate has been rising during the past 10 years. Research shows that if a woman has a mutation on the MTHFR gene and has an elevated level of homocysteine it places her at a higher risk for Down syndrome. We have specific individualized treatments in our clinic that combines acupuncture, herbs and nutrition to address the root of the imbalances as well as to counter MTHFR malfunction to regulate methylation and bring down homocysteine levels*. We are taking the proactive approach to screen potential mothers for these markers and address the imbalances when needed. We are confident that when all the researches are completed these methods will be implemented across the country and the world. We are happy to be in the position to implement what we believe to be life-changing procedures. Six months to one year prior to conception couples should get a full genome analysis. We will then analyze the results and place each person on an individualized program to optimize their health and genetics. This will give the baby the best chances to get the healthiest possible outcome*. We also recommend checking some markers that could be related to Autism to make sure the mother is at the low risk. According to the Centers for Disease Control the occurrence rate for Autism in the US was 1 in 68 in 2014.